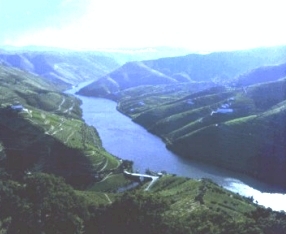 Since the Phoenician merchants arrived in the Douro estuary, the region became an important settlement for traders and conquerors. The estuary of the Douro river is now a mix of fishing ports, beach resorts and industrial areas. The Douro valley with its terraced vineyards covering the hillsides leads to small villages and farms, some still waiting to be discovered. In contrast, Tras-os-Montes is a place of villages of granite and black schist rock perched on the mountainsides where people still practise a form of communal life. Throughout the region, families produce their own wines and cured ham and smoke delicious sausages over their fireplaces. There is still much to be discovered in the area. To prove it is the remarkable collection of thousands of prehistoric engravings discovered just a few years ago on the valley of the River Coa.